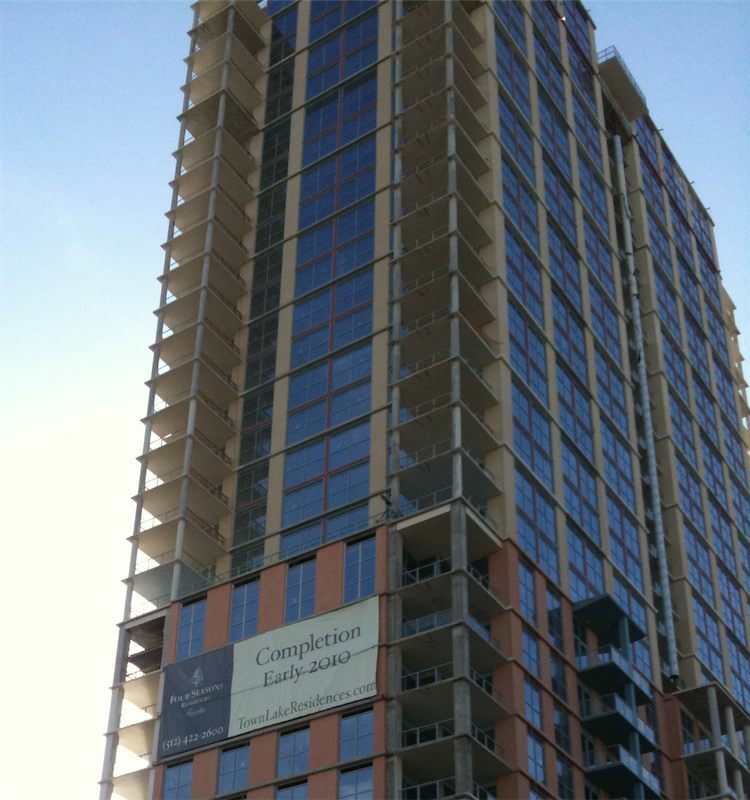 I’ve just returned from my first trip to South by Southwest, in Austin, Texas. As a first-timer, I learned a lot about the city and the conference. If you’re considering going in 2011, perhaps these facts and items will assist you. A badge for South by Southwest Interactive costs as much as $595. Don’t worry if you lose your badge however, as the replacement cost is just $595. 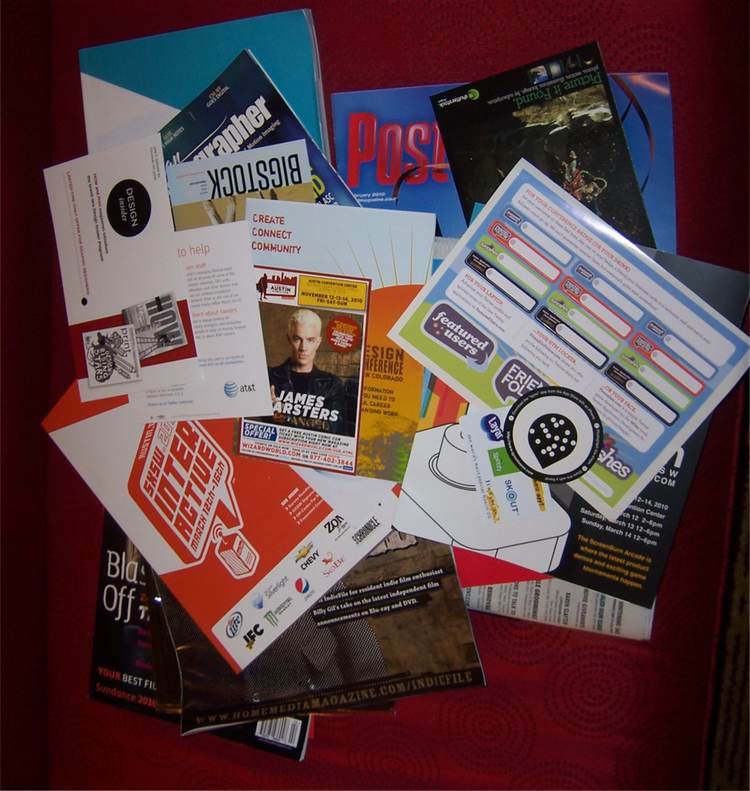 Print is dead, except in the SXSW bag, as @Seoulbrother noted. After speaking with those in the know, I’ve learned that each and every bag contains the remains of over three and half trees, all of which died in vain. The printed directory included in the bag is 256 pages long and costs $40 to replace if you lose it. 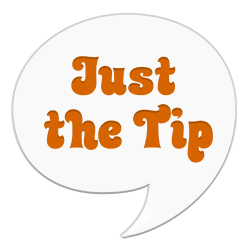 Each time a volunteer gives an attendee this book, she must tell the attendee this cost so as to impress upon him the importance of keeping the book safe. The attendee will not see this book again until his return flight, when he wonders what the hell is weighing his bag down. Unlike ski resorts, your badge is never scanned for entry at SXSW. Fortunately for the conference, this paper badge with a grainy black and white photo would be nearly impossible to forge, especially for the thousands of designers who attend the show. A tiny mustache is not in fact a requirement for SXSW, though you couldn’t be faulted for assuming it was. 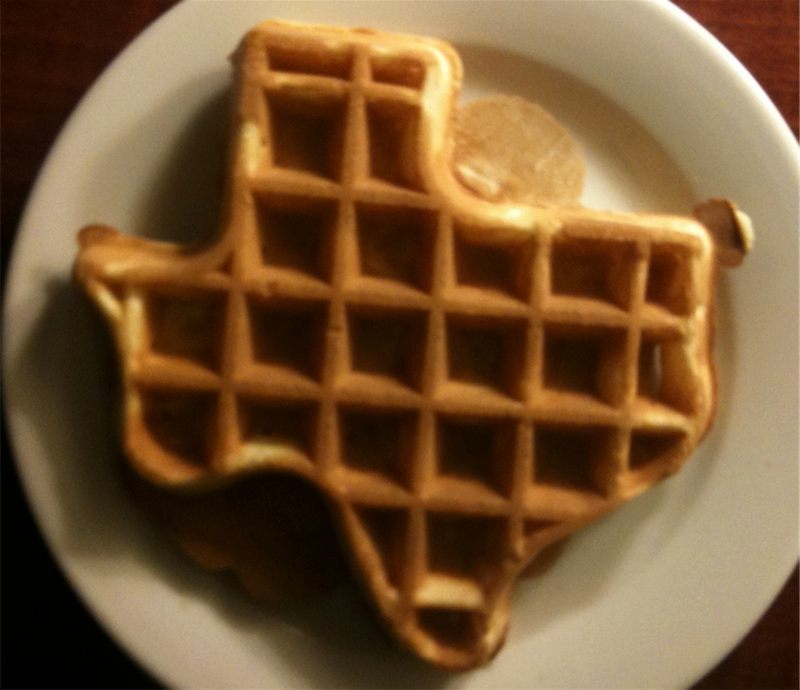 In Texas, all waffles must be shaped like the state, just in case you forget where you are. 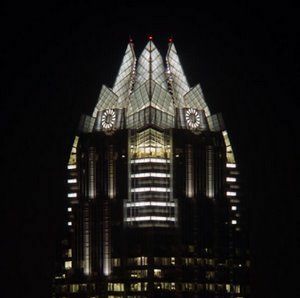 The Frost Bank Tower is the most noticeable building in Austin, and looks a lot like an owl. The story goes that it was designed by an architect who’d been rejected from University of Texas (in Austin) and went to Rice instead. Rice’s mascot is the Owl, making this a 515 foot tall middle finger to UT. Speaking of architecture, what is ‘early‘, anyway? SXSW taught me that when I hear someone say the words “social media strategist” or “brand consultant”, my mind mentally makes an entirely appropriate masturbatory gesture. At the same time, my hand physically makes an entirely inappropriate masturbatory gesture as well. Even after SXSW winds down and you head home, the eyes of Texas are upon you, and that’s more than a little creepy.